COMMUNITY CONVERSATIONS — 8-9 a.m. Tuesdays. Join local officials and others in the community to talk about local issues at The Green Earth, 4 Market Street, Oneonta. 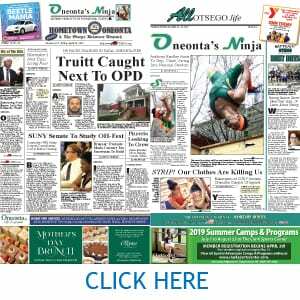 ONEONTA HISTORY CENTER — Rotating public exhibits on local history. Free. One exhibit celebrates 150th anniversary of the center’s home building, at 183 Main St. The center is seeking anniversary donations. Oneonta History Center, 183 Main St. (at Dietz St.), Oneonta. Hours, info, www.oneontahistory.org or (607) 432-0960. AL-ANON MEETING – 7:30-8:30 p.m. Wednesdays. Support meeting for the families and friends of Alcoholics or those suffering from chemical addictions. Cooperstown Center Nursing Home, 128 Phoenix Mills Cross Rd., Cooperstown. SHIFT FAIR – 9:30 a.m. – 5 p.m. S.H.I.F.T Holistic and spiritual arts fair. Speakers, workshops and demonstrations. Quality Inn, 5206 State Hwy 23, Oneonta. Info, www.shiftnewyork.com. WORKSHOP – 8:30 a.m. – 12:45 p.m. The League of Women Voters hosts a “User’s Guide for Local Democracy” workshop. Free, pre-registration required. Springbrook Family Engagement Center, Rt 28, Milford. Info, registration, (607) 547-2853, www.LWVoneonta.org. ANIMAL YOGA – 6:30 p.m. De-stress with some pets! Dog/Cat participants TBD. . Hunt Union, SUNY Oneonta. Info, (607) 547-9371. CONCERT – 7 p.m. Jeremy Wall and Colby Thomas perform a concert in the home of Jay Fleisher and Judy Pachter with dessert, beverages. $40 to benefoit Catskill Symphony Orchestra. 2101 Kelly Corners Road, Oneonta. Info, RSVP, (607) 286-7541. BENEFIT AUCTION – 6:30 – 9 p.m Hartwick College Athletics Benefit Auction. Admission $40/ person; $70/ couple. 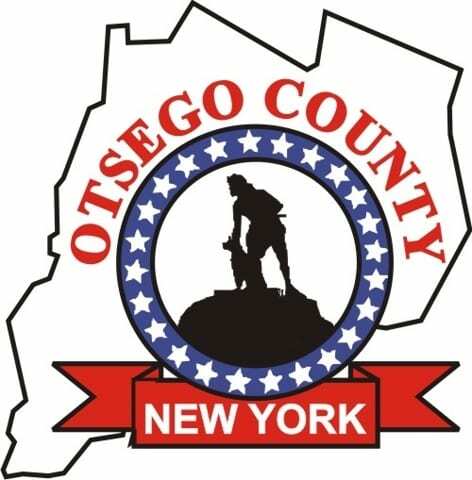 Carriage House Event Center, 790 South Side Drive, Oneonta. RSVPs by April 25. Info, RSVP www.hartwickalumni.org/benefit19. TACO DINNER – 4-7 p.m. Get a “plato tipico” of chips, salsa, a tamale, taco, rice, beans, salad and dessert tosupport the Living Waters for the World mission. $15, kids 10 & under, $10. First Presbyterian Church, 25 Church St., Cooperstown. Info, (607) 547-8401.